The community of Ogdensburg is invited to join the Charles W. Kelly Memorial Park Committee on Saturday, May 11 for a Community-Wide Celebration of the Life of Charles W. Kelly. The celebration will involve a city-wide clean-up effort sponsored by the Ogdensburg Parks & Recreation Department. 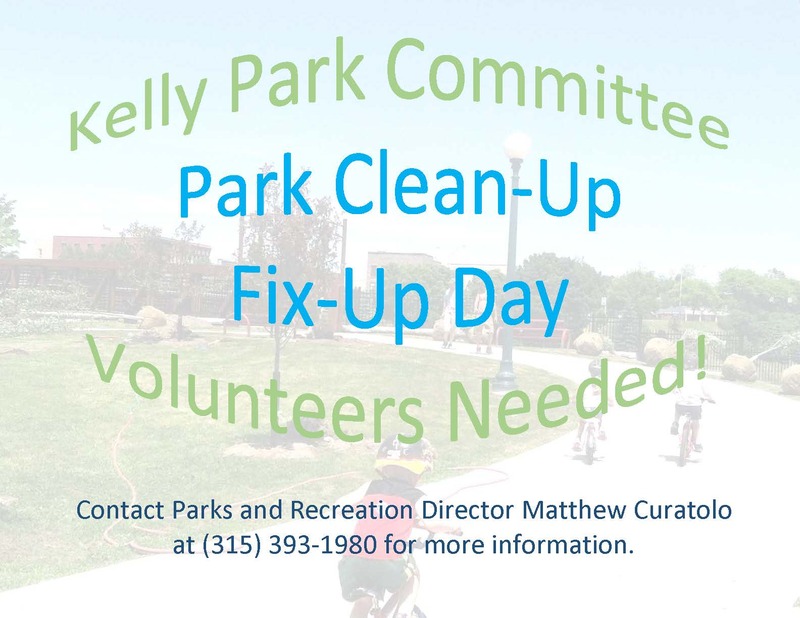 The late Mr. Kelly served as chair of the city’s Recreation Commission for many years and the Kelly Park Committee feels that a suitable way to honor his memory would be to launch an annual city-wide clean-up/fix-up campaign. The locations that will be worked on include the following: Kelly Park (formerly Hamilton Street Park), Groulx Park, Champlain Street ballfields, Grove Street Park, Mansion (New York Ave.) Park, Montroy Park, Little Park, Greenbelt, Maple City Trail from the Custom’s House to walking bridge, Maple City Trail from walking bridge to the Pumphouse, Maple City Trail from Pumphouse to the Black Bridge and the dugout. The Parks & Recreation Department will be providing garbage bags and rubber gloves to be used that day and it will be picking up and disposing of it that afternoon. If you are interested in joining us, please contact Matthew Curatolo, director of Parks & Recreation, City of Ogdensburg, at 315-393-1980.